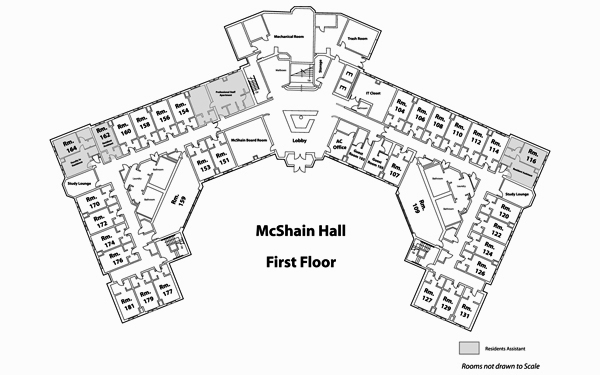 McShain, built in 1988, is named in honor of John McShain, an alumnus who built Barbelin Hall as well as numerous buildings in Washington D.C. The City Avenue bridge connects the Lower Merion (and McShain) side of campus to the city side. 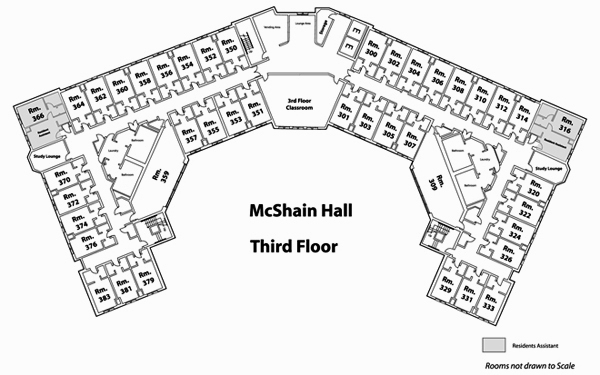 McShain Hall is a co-ed facility and one of the University's newest residence halls, with housing for 280 students - approximately thirty on each hall. 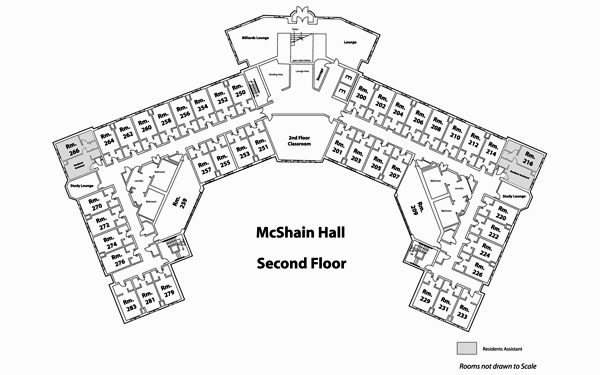 McShain was built in 1988 to meet the demand for campus housing. The building is constructed of ashlar limestone and the Gothic design reflects the more traditional values of the University. The facility links the Merion and Central campuses with a bridge across City Avenue. The facility is named in honor of Mr. John McShain, a renowned Philadelphia architect, who also designed and built the Barbelin building. 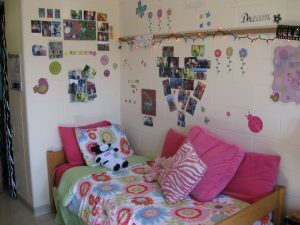 McShain Residence Center offers students close proximity to all of campus with a connecting bridge that students can access from their building. 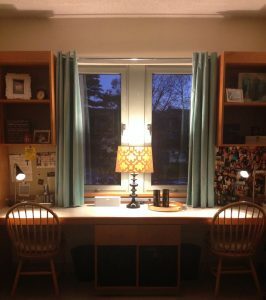 Additionally, students are able to access meeting spaces and classrooms and participate in Residential Learning Communities (RLCs), including for the Freshman Business RLC and the Emerging Leaders (RLC) programs and Honors housing.